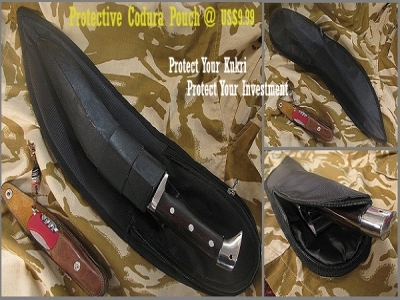 Has the ability and potential to tackle any situation - good, bad, worst; expected, sudden, immediate that the user may come across..
It’s a jungle friendly extra special khukuri knife designated for all out jungle warfare and survival technique. The blade, handle and fixtures are all made in such a fashion that it would support and boost outdoor activities and tasks. Moreover, the inclusion of a special mini back up knife further makes the knife extra special and superior than its counterparts. Both the mother and baby knives are very functional and would come very useful in any expected and unforeseen situation, and also in various conditions/terrains. 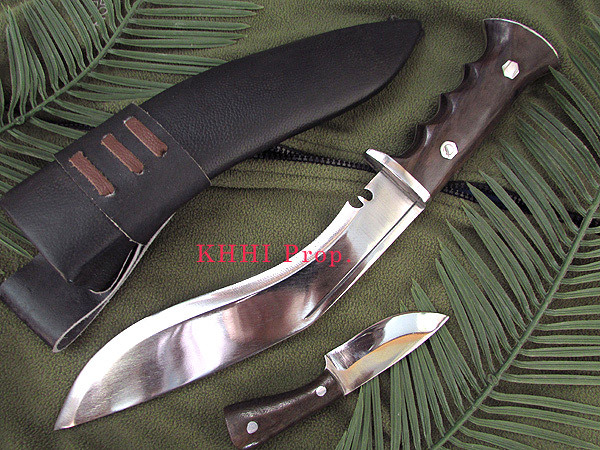 What make this jungle kukri so XTRA ? The blade is built only 9.5 inch long for easier carriage and yet has a very good range that is fully polished to prevent from rusting and to work as a reflector (mirror) as well. The handle has Vertical Guard for protection, Finger Grips (curvatures) for comfortable/firm grip and “L-key” system for extra strength and durability. 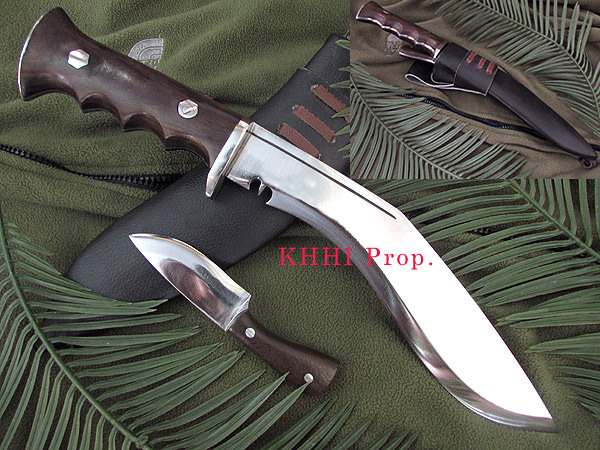 Traditional khukuri shape handle is adapted for easier and better (firm) grip. 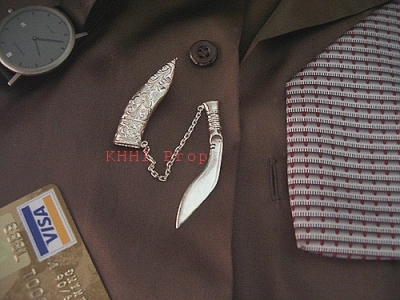 The B-up knife on the other hand is 3inch long bladed (100 gms approx. weight) fitted by a very “easy-to-handle” wooden handle to perform small tasks and games that may not be possible thru the mother blade. Its finishing is also highly polished for easy maintenance and smart look. So lastly, the summary is: Jungle XTRA (Woodlander) is an all out all purpose jungle utility knife that has the ability and potential to tackle any situation - good, bad, worst; expected, sudden, immediate that the user may come across when he is out there alone in the unfamiliar and unforgiving territories. 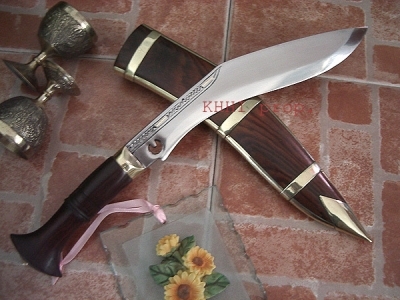 Blade size: 9.5 inches approx. Handle size: 4.5-5 inches approx. Blade Thickness: 9 mm approx. My brother's gift arrived safely. He is very pleased and impressed with the excellent quality of your workmanship, as I knew he would be. Peace and joy, and much success to you.